I love Sudoku puzzles, although I don’t have the down time to do them much anymore. 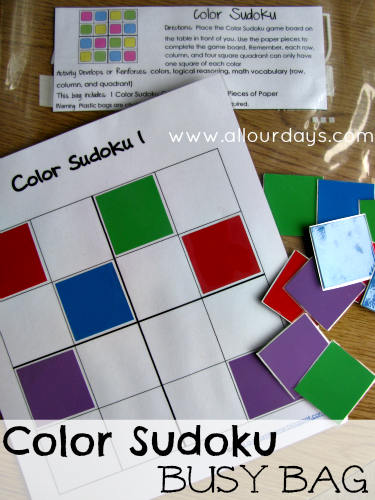 Our activity for today is a great way to introduce Sudoku to your young child in a way that is easy to understand. Our Color Sudoku activity is made up of a 4 by 4 square grid. To complete the puzzle you need one square of each color in every row, column, and 4-square quadrant. Our busy bag printable includes instructions and templates for making 4 different Sudoku puzzles, directions for completing the puzzles, a label for the busy bag, and an answer key. We used color paint chips for our cards, but you could also use construction paper or color cardstock. We also recently added magnetic strips to the back of the colored squares. Now Emahry completes the activity on a metal cookie sheet and the pieces stay put better. You can make the Sukoku puzzles easier by attaching more of the colored squares. You can make them more difficult by attaching fewer (use this Blank Color Sudoku Grid). Once your child has the concept down, these would be great activities to include for quiet time play. 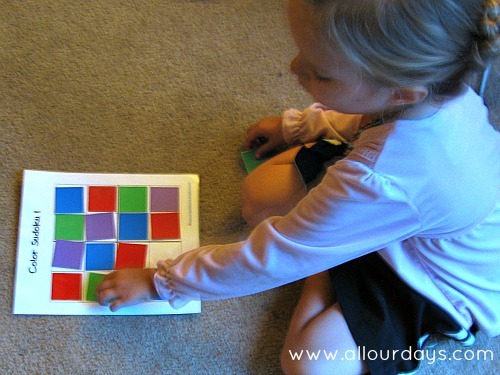 What are some ways you help your young child develop logical reasoning? This is a great idea! I think my 8yo will love it as an introduction to Sudoku. And then we can make harder puzzles as he gets the hang of it. I’m including it in his Busy Binder for our long summer trip! Thanks for the idea and the free printables! a fantastic song comes on over the vehicle radio. So your personal, non-commercial, watercraft is exempt from a licensing requirement. What a fun take on Sudoku! This will also work well with my nursing home residents (I’m the Activity Director). Thank you so much for sharing this creative idea! I did this last year with my second grader using unifix cubes. I set up a puzzle for her to complete and then showed her how to design a puzzle for me. She loved it! I like the idea of using magnetic strips though. Would be great for a long car ride. 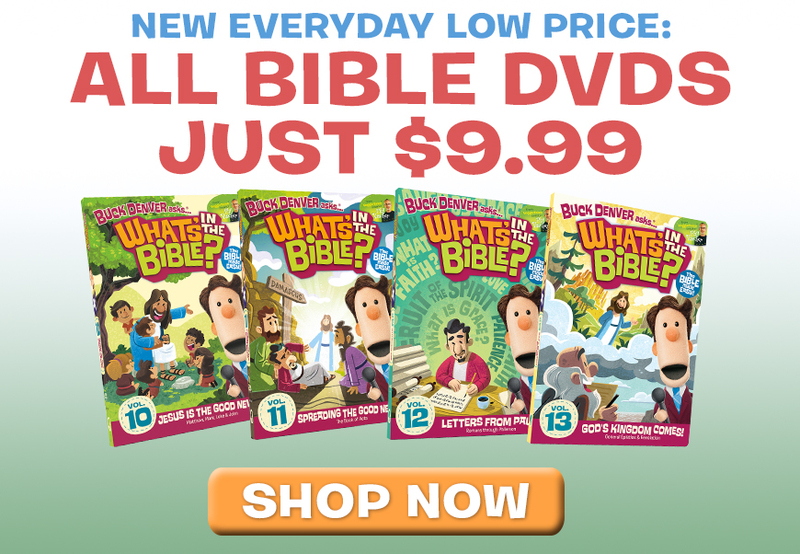 I love how you have the guide that shows the age level your busy bags are appropriate for– it’s a handy helper! I’m pinning this- it’ll be perfect for when my younger one gets older, and I think I may make a similar, but older, version for our 12-year-old… he is really wanting to figure out Sudoku, but all of the numbers are overwhelming– colors might be a good place to start, then working up to colored numbers, and ending in just the numbers. Thank you for the inspiration! A few years ago I made a mini-bulletin board version of this using velcro for my kindergarten kids and they LOVED this!!! I LOVE that idea…a giant wall Sudoku…how fun!